If you liked the look of Lenovo’s Halo keyboard from the Yoga Book but found the $500 price point a little high, the Yoga A12 tablet appears to be an affordable alternative. At 12.2 inches, the newly announced Yoga A12 is slightly larger than the 10.1-inch Yoga Book, which was introduced last fall. 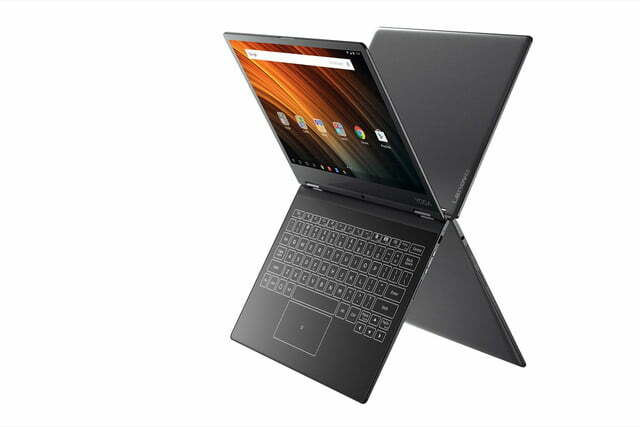 Like the Yoga Book, it runs Android and features the futuristic-looking Halo keyboard. The keyboard doesn’t have any raised keys — it’s flat and offers haptic feedback on touch. It also adapts to your typing habits like the keyboards on most smartphones, thanks to built-in prediction and artificial learning software. The Halo keyboard on the Yoga A12 does not support the same stylus features as the Yoga Book — there’s no pen or digitizer pad. 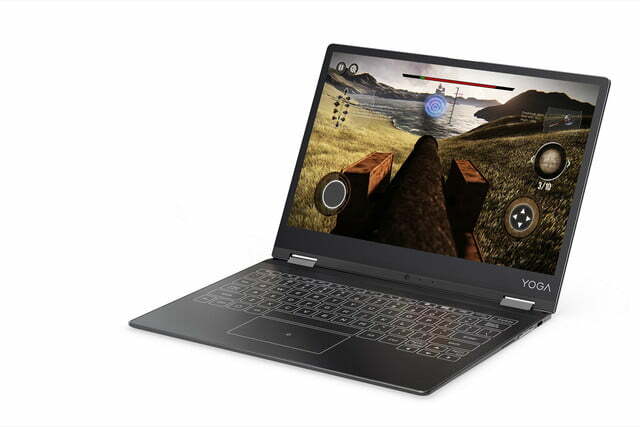 The Yoga A12 boasts an “HD” display, which means it has a 1,280 x 800 pixel resolution. It packs 32GB of internal storage, but unfortunately only comes with 2GB of RAM. All of this is powered by the Intel Atom X5 processor, which should be powerful enough to handle most tasks on Android 6.0.1 Marshmallow. A 10,500mAh battery life is claimed to keep the tablet running for 13 hours, though we’ll have to test those claims. 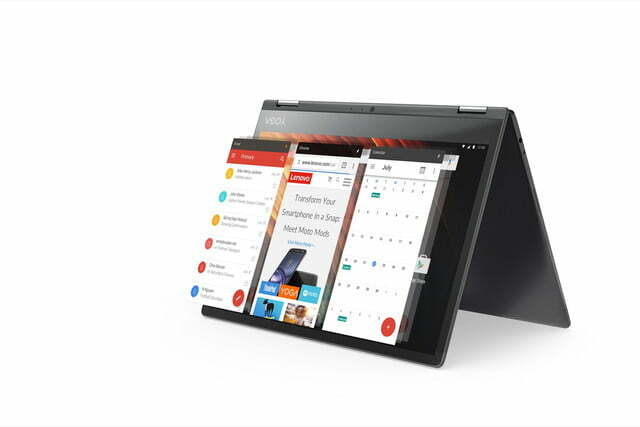 Lenovo’s A12 uses a modified “multitasking hybrid UI” that makes Android a little more productive on a larger, tablet-size screen. It’s unclear when or if this device will be upgraded to Android 7.1.1 Nougat. The device can be flipped like the Yoga Book, thanks to the 360-degree hinge. It comes in grey and rose gold, and Lenovo says it will be available for purchase on February 8 on the company’s website. The Yoga A12 starts at $300.